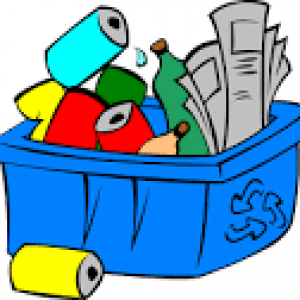 Recycling is held at the Township Building the second and fourth Saturday of each month from 9 a.m. to 12 noon. There are volunteers here those two days to assist any resident who may need help. Our containers are open 24 hours if those two Saturdays are not convenient for you. 1. Rinse – Remove styrofoam labels. 2. Remove metal lids and rings. 4. Do not include auto glass, light bulbs, procelain, ceramic, plate glass, crystal or mirrors. 1. Rinse throughly, remove caps. 3. Containers must have the three arrow recycling logo, with the numbers 1 or 2 inside it. 1. Newspapers are to be in paper bags. If you or a group (church, organization, etc.) are looking to volunteer your time, please call Laura Miles at 724-624-0187, to help oversee the recycling program on the 2nd and 4th Saturdays each month. On July 11, 2017, the Board of Supervisors amended the Township Burning Ordinance to include the following. You are no longer permitted to burn leaves, branches or grass clippings. The Township has made available a designated area at the municipal building for Township residents to bring their leaves, branches and grass clippings).